Plumbing labels, gas labels and heating labels can play an important safety role and are an essential item for a safe working environment around gas and heating equipment. 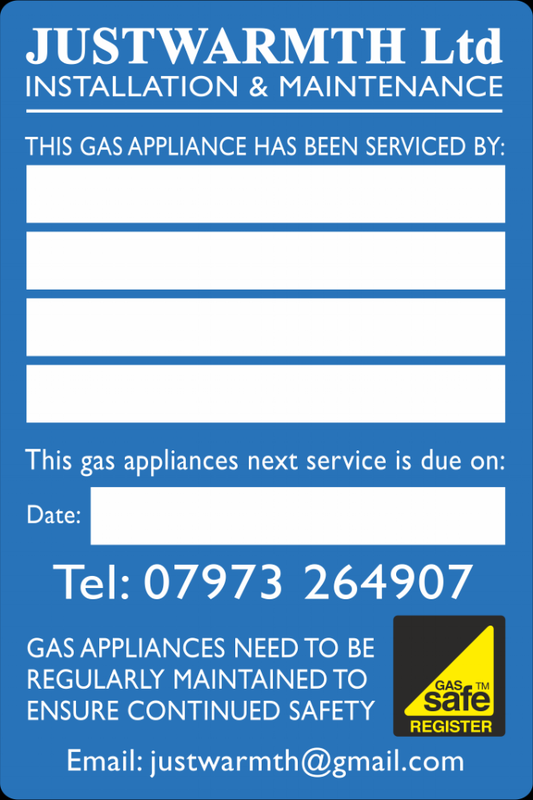 Customised warning and service reminder labels and stickers can also promote your business to existing and potential customers while meeting the gas industry requirements. You can choose from a standard range of gas labels and plumbing labels or have them personalised with your company details, company information and logo. It is also important to include the trade accreditations that you hold such as GasSafe, Oftec etc. Customised labels and gas stickers ensure your customers know you are qualified and also how to contact you for repeat business. If you would like to see our range of gas labels and electrical stickers you can download our Trades Brochure which gives you examples of the types of gas labels and stickers, their size and standard price. You can download this brochure by clicking here or the image to the right. Contact us now for all your gas label and plumbing sticker requirements whether generic or customised gas labels we can help.